Let’s do it again TODAY! “The Weekly Show” — LIVE online! 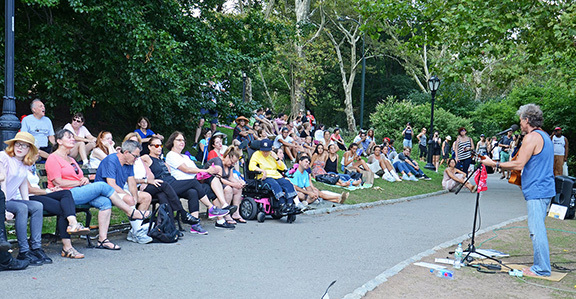 Hey guys… I missed you in Central Park yesterday. BUT WHAT A SWELL TIME WE HAD TOGETHER ONLINE!!! One of the biggest crowds so far! We did a special edition of “THE WEEKLY SHOW”… LIVE online! If you missed it we’ll hang out again today, right here on your computer with people from all across the country and different parts of the world. Next Next post: TWO DAYS OF “ONLINE” MUSIC… LIVE!